Nothing tastes sweeter than a warm 40 oz. 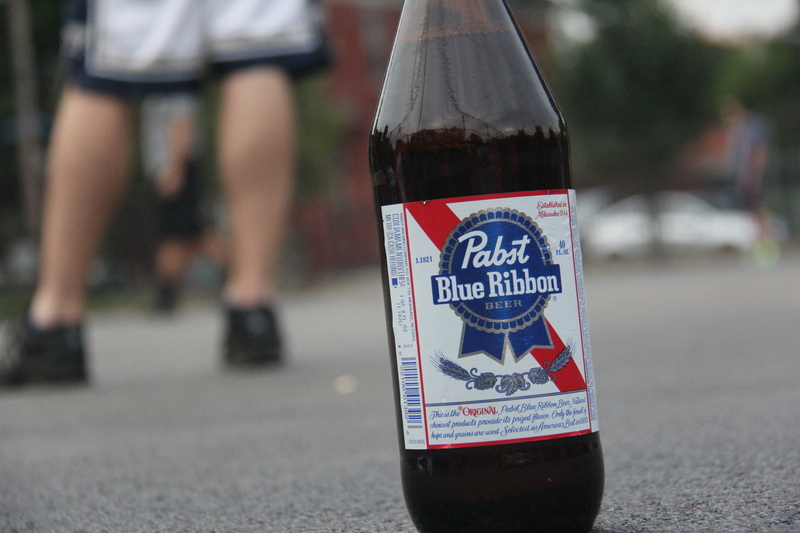 Pabst, except maybe victory, which Questionable Outfit finally enjoyed after clinching the Wiffle Series Championship in five games in their best-of-seven series with Cookies & Cream. 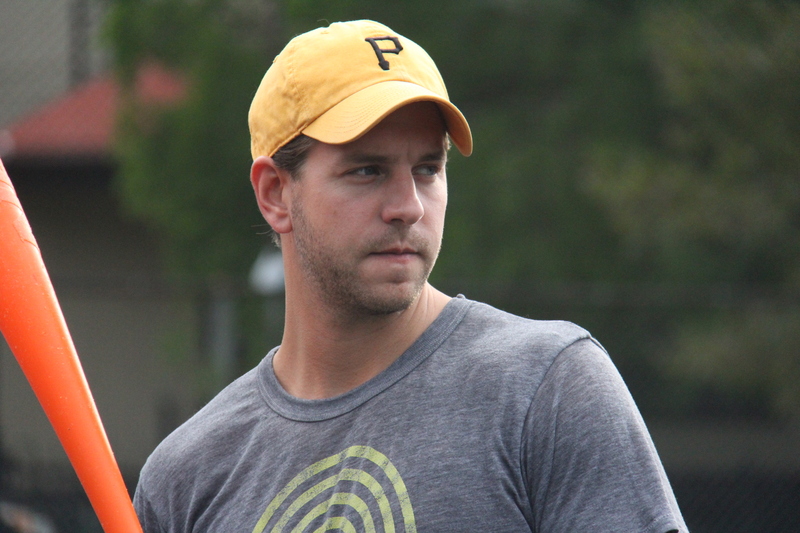 The story of the 2014 EWL season will be how Questionable Outfit went tape-to-tape as the heavy favorites, and not only lived up to the hype, but exceeded expectations by dominating the regular season and the playoffs en route to a championship. 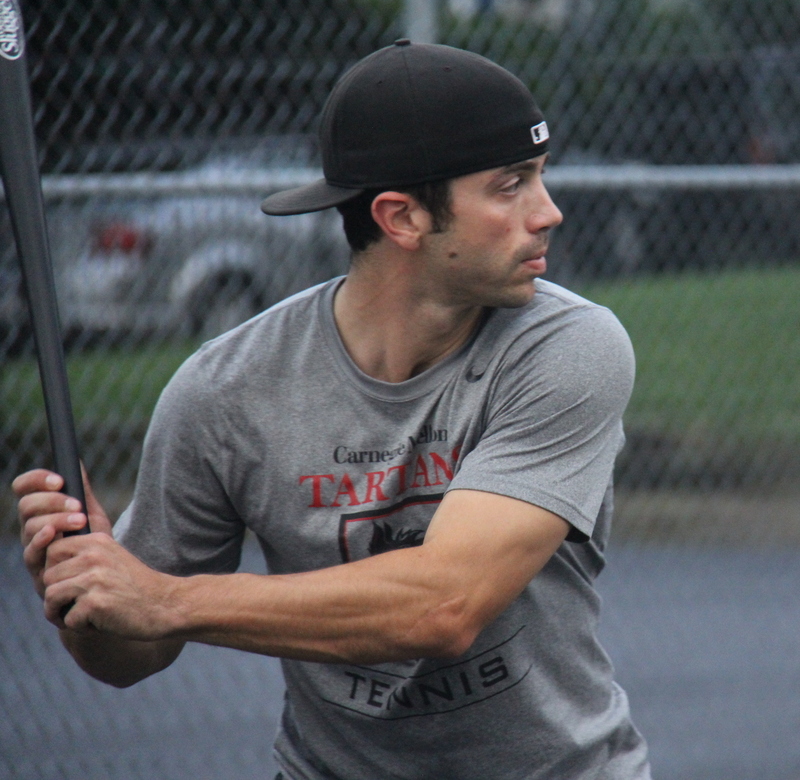 Questionable lost MVP candidate and All-EWL player Mike in the offseason, but they added one of the greatest players in wiffleball history, Morrison, to replace him. The team looked unstoppable on paper, and they pretty much were on the diamond. They fielded as good as any team in the league, rarely making an error and limiting opponents from putting together big innings. On offense they did just the opposite, crushing the wiffleball all over the diamond for extra-base hits, making smart base-running decisions, and stringing together home runs in a historic fashion. Bob had an even better season in 2014 than his 2013 Wiffler of the Year campaign, shattering multiple single-season records. He will surely be named to a second consecutive All-EWL team and is a strong Wiffler of the Year candidate, and if he wins, will become the first player in league history to win the award twice (let along in consecutive years). Reilly became a devastating hitter at the plate in addition to ascending to one of the best pitchers in the league. 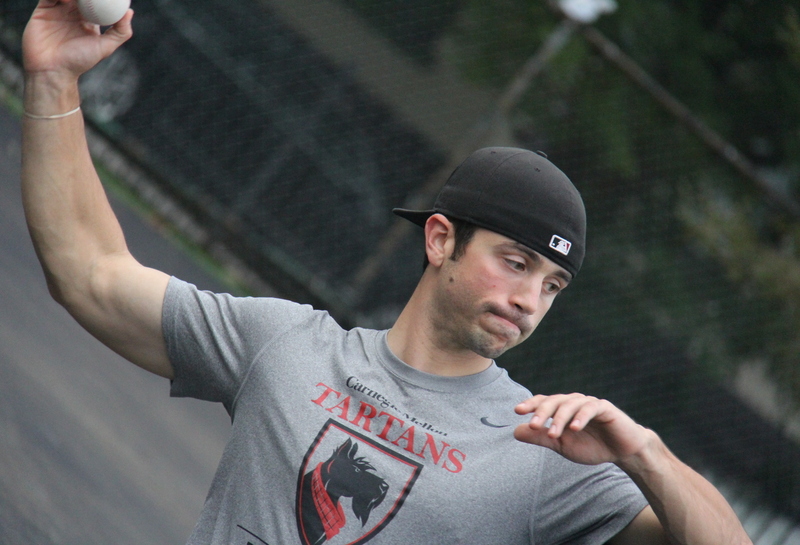 He is a favorite for Pitch King, a candidate for Wiffler of the Year, and is a strong contender to make the All-EWL team. Tom continued to field as good as anyone in the EWL, and his power and speed on offense rival any other player when he is hot. He is hoping to make the All-EWL team for a second consecutive season, and is in the running for Field Master. 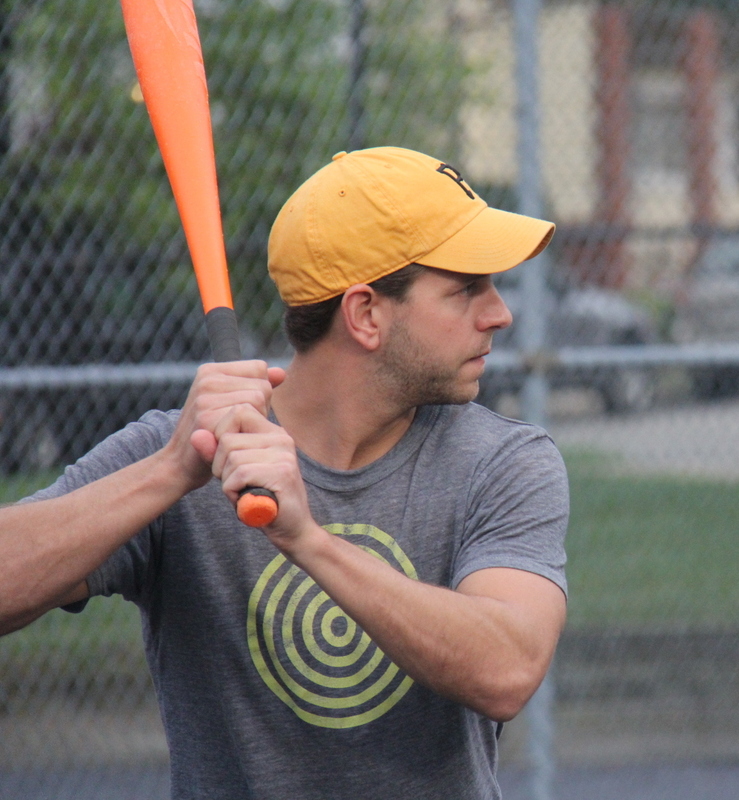 And Morrison, the cagey veteran of wiffleball lore, had another banner year despite missing time for marriage, and won yet another batting title. He is hoping to become the only player in EWL history to make all four All-EWL teams. The original three members of Questionable Outfit had the drive to avenge their disappointing finish in 2013, and Morrison had the championship experience to take them to the promised land. It was an explosive combination, and their lineup, one through four, had no weak spots. Questionable Outfit didn’t break every individual or team record in 2014, but they stand at the top of the heap with the best teams in league history. Time will tell if Mike will return in 2015, if Morrison will move on to the fourth team in his career, and if the other teams will farm enough talent to give them a run, but Questionable Outfit will by all accounts enter next season as the favorites to repeat as champions. 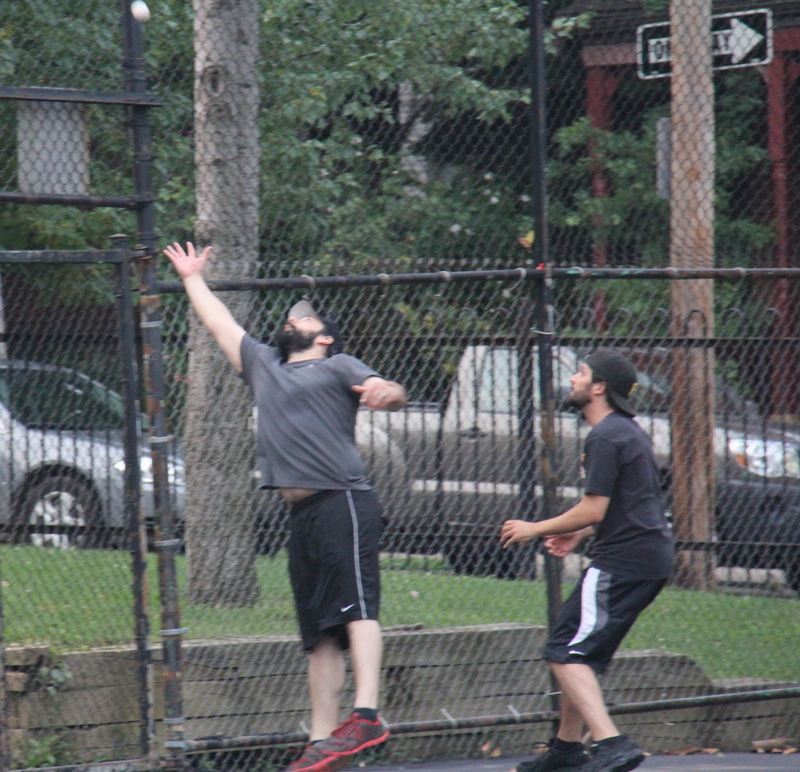 Cookies & Cream went up early in Game 5 and it looked as if they may be able to extend the Wiffle Series and their season, but ultimately Questionable Outfit did what they have done all season. 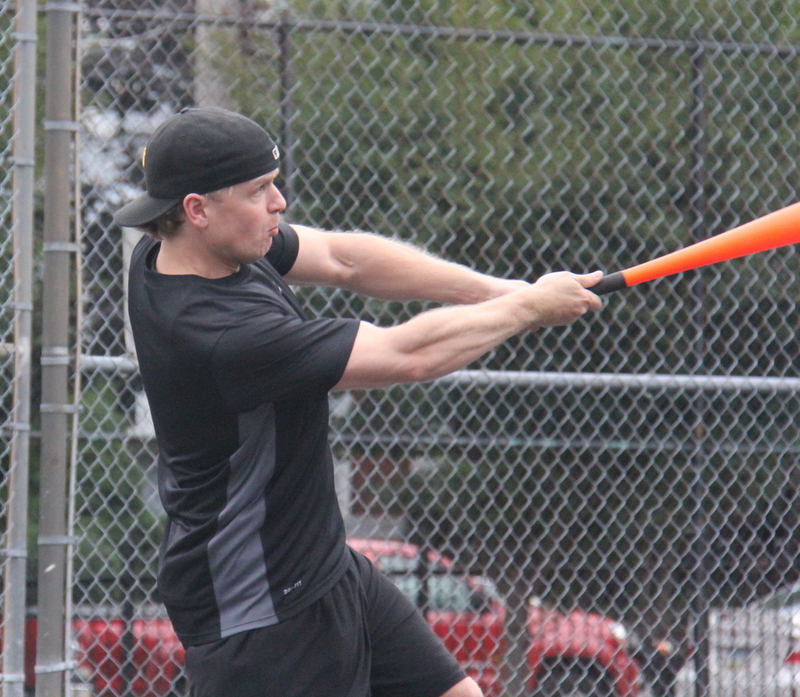 They strung together a series of big hits, and a huge second inning carried them to a series-clinching win and a claim to wiffleball history. 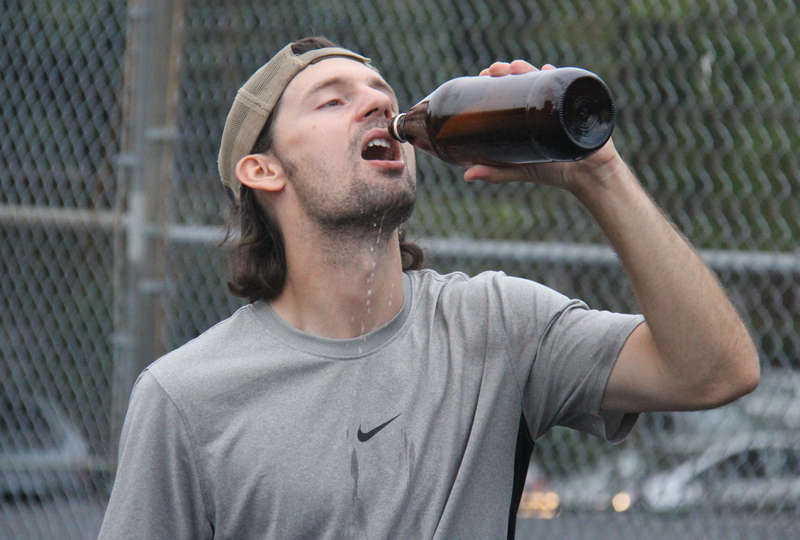 One year after suffering a painful defeat at the hands of Cookies & Cream in the 2013 Wiffle Series, Questionable Outfit would drink the 40 oz. 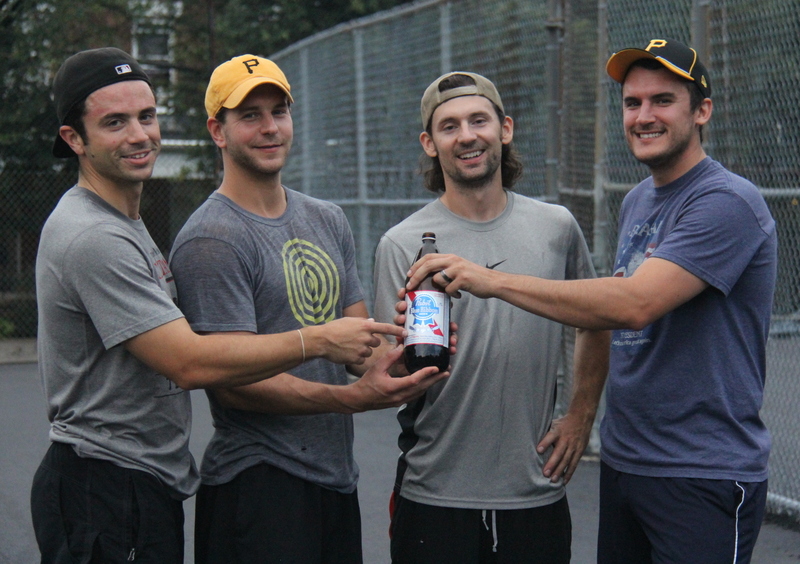 Pabst as champions of the Ellsworth Wiffleball League in 2014. 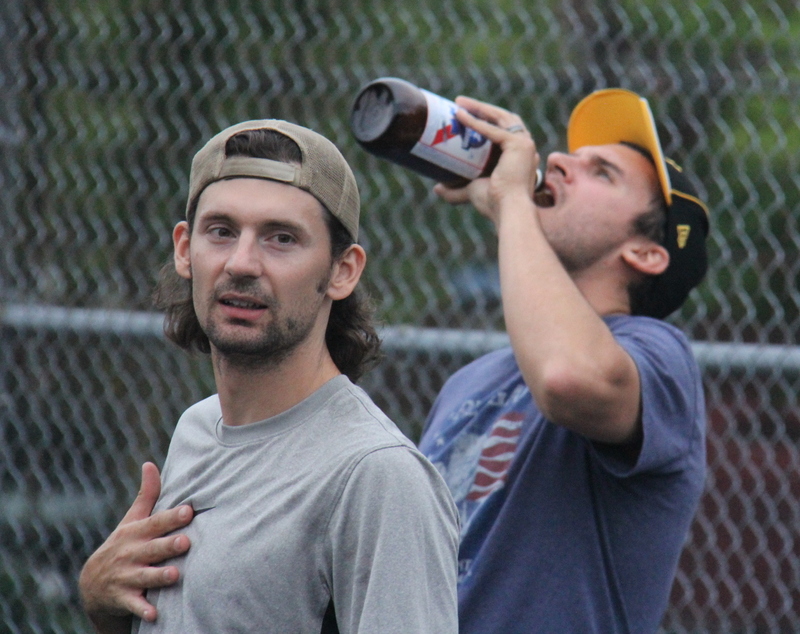 They were on a mission from Opening Day, dominating the regular season, breaking individual statistical records, earning a rematch in the Wiffle Series with Cookies & Cream, and losing only two total games in their entire playoff run as they avenged their 2013 defeat and became champions of the wiffleball world. Up 3-1 in the best-of-seven series, Questionable Outfit sent Reilly to the mound. He had his worst outing of the season in game 3 and was pulled from the mound, but Questionable had confidence he could close out the series and return to form as one of the best pitchers in the league. The first batter he faced, Dinger, continued his strong postseason campaign, crushing a solo homer to left-center, putting Cookies & Cream ahead 1-0 immediately. Blose followed with a single, and the next batter, Joey, launched a two-run bomb to center, making the score 3-0. Reilly retired the next batter, Vassallo, and after giving up a single to Guthrie, he got Dinger to fly out to the mound for the second out of the inning. After giving up 9 earned runs in his last start, Reilly had surrendered 3 runs in the top of the first and was off to a shaky start. Cookies & Cream would turn to Dinger as their starting pitcher, and he also struggled out of the gate. 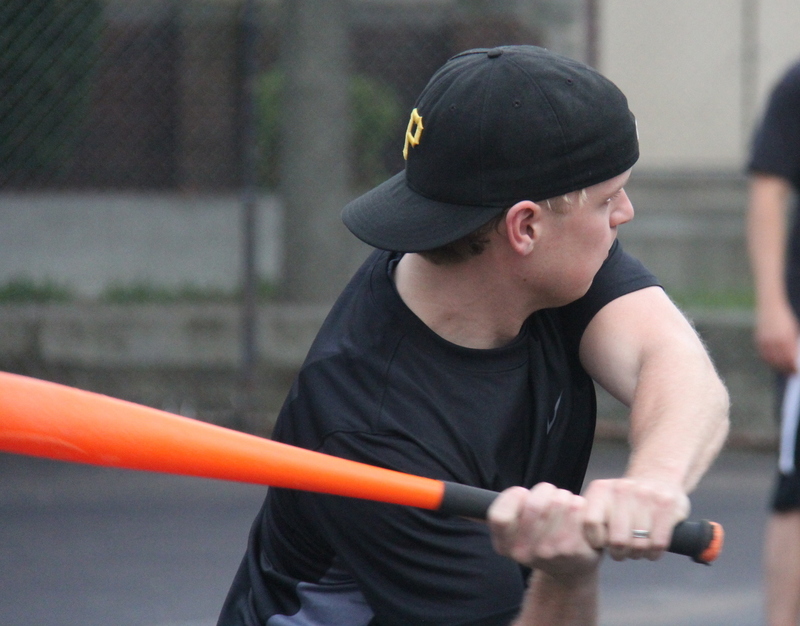 Tom continued his torrid pace in the Wiffle Series, and led off the game with a solo shot, cutting the score to 3-1. Dinger would retire Bob, but the next two batters, Morrison and Reilly, each singled to put two runners on base with one out. Dinger buckled down and got Tom to fly out to center, stranding both runners and getting out of a big jam. Cookies & Cream would add to their lead in the top of the second when Blose led off the inning with a solo homer. Reilly retired the next two batters, but Cookies had extended their lead to 4-1. Through an inning and a half, Reilly was being hit hard again and Cookies had taken an early lead, something they struggled to do throughout the season. 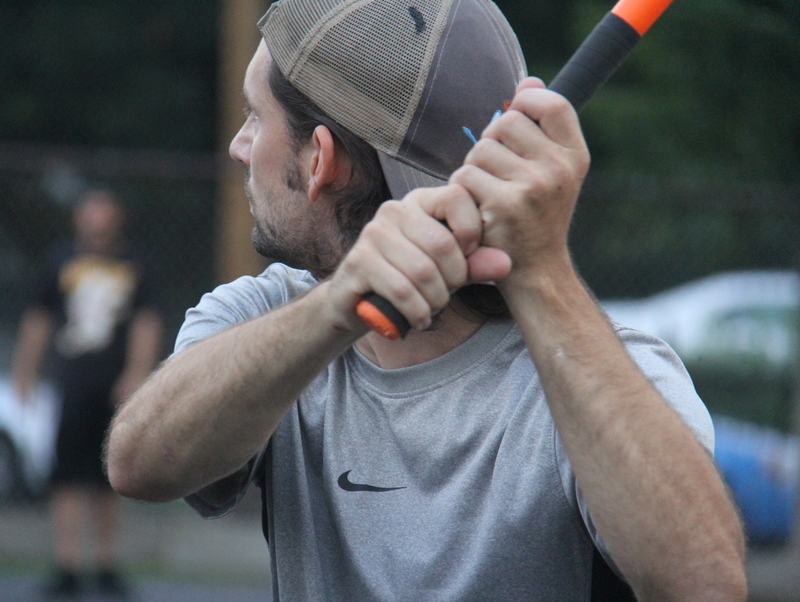 Only one team had come back from a 3-1 series deficit in Wiffle Series history; the 2012 Caucasians trailed the Fish Sticks 3-1 before reeling off three straight wins to capture the title. Cookies were on their way to at least forcing a game 6, and then Questionable Outfit got out their wiffle sticks. Bob led off the bottom of the second with a single and moved to second on a Morrison groundout to left. The next batter, Reilly, provided his own run support, crushing a two-run homer to left, making the score 4-3. 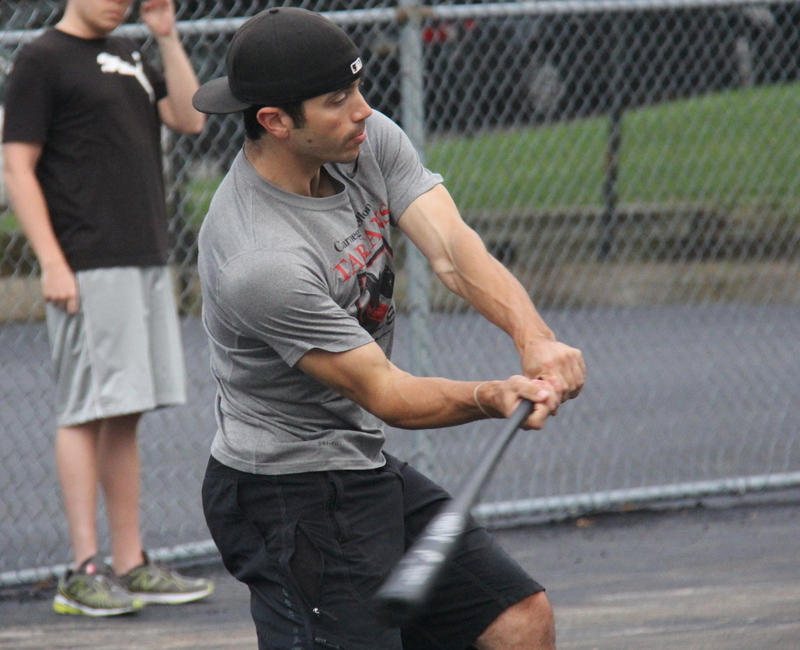 Tom followed with a solo shot, his second of the game, and Questionable Outfit had tied the game at 4-4. Bob then doubled, and he scored when Morrison hit an RBI single to give Questionable Outfit their first lead of the game, 5-4. Reilly then connected on his second homer of the inning, a towering two-run bomb, which put Questionable ahead 7-4. Tom would follow with a triple, and just when it looked as if things would get ugly, Dinger retired Bob for the second out of the inning, stranding Tom at third. Questionable Outfit had scored six runs with one out and had went from trailing by three runs to taking a three run lead through two innings. After bashing two homers in the second, Reilly got into a groove on the mound in the top of the third. He retired Cookies & Cream in order for his first scoreless inning. Questionable continued to hit Cookies hard in the bottom of the third. Morrison and Reilly each hit singles to start the inning, putting runners on first and second. 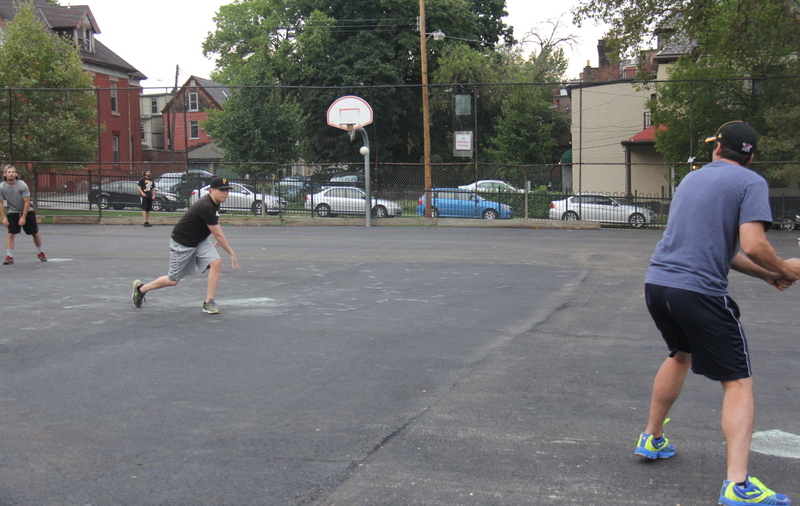 But Dinger avoided another disastrous inning, retiring Tom and Bob to strand the runners, and the score remained 7-4. Cookies would draw closer in the top of the fourth. After Reilly retired Blose for the first out, Joey hit a solo home run to left, his second blast of the game, to make the score 7-5. Reilly then retired Vassallo to end the inning. Dinger cruised through the bottom of the fourth, retiring the side in order. Up two runs, Reilly went into cruise control in the top of the fifth. He retired Guthrie and Dinger consecutively, maintaining the lead. Questionable Outfit wouldn’t add to their lead in the bottom of the fifth, as Dinger retired Tom and got Bob to fly out to the mound to end the inning. Cookies & Cream entered the top of the sixth down 7-5 and two outs away from the end of their 2014 season. Their two hottest batters, Blose and Joey, were due up, and they would need a heroic effort to extend the game. Reilly had retired eight of the last nine hitters, with only Joey reaching base after the second inning. He continued to dominate, as Blose flew out in short foul territory for the first out of the inning. Down to their final out, Joey took a few pitches before hitting a short fly ball just beyond the mound. 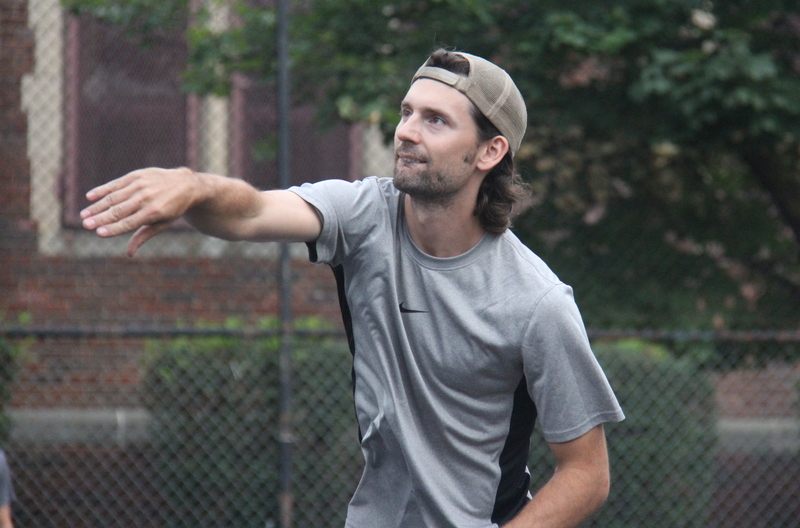 Reilly took a few steps back, caught the ball, and began to celebrate as he had secured a 7-5 win in game 5, and Questionable Outfit were the 2014 Wiffle Series champions. Questionable Outfit won game 1 of the series, and after dropping game 2, had won three straight to capture the title, their first in franchise history. 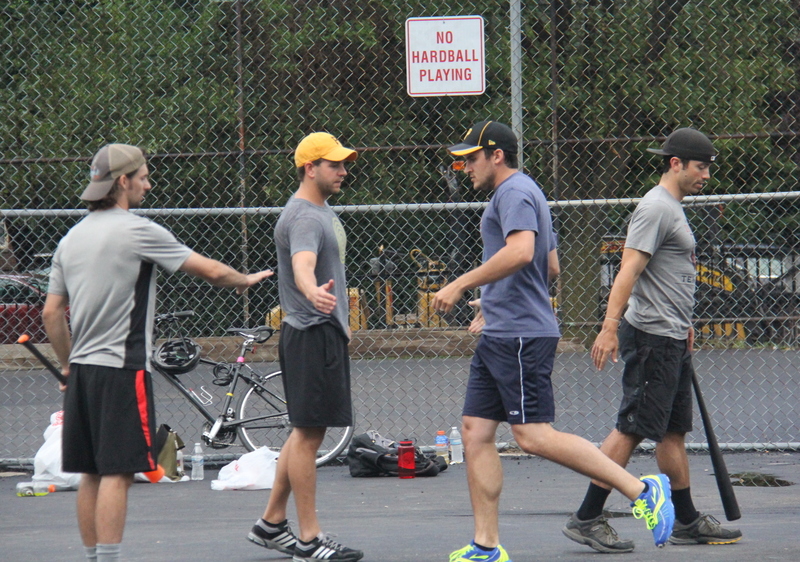 – Questionable Outfit became the fourth different team to win the Ellsworth Wiffleball League Wiffle Series, joining the Fish Sticks (2011), the Caucasians (2012), and Cookies & Cream (2013). 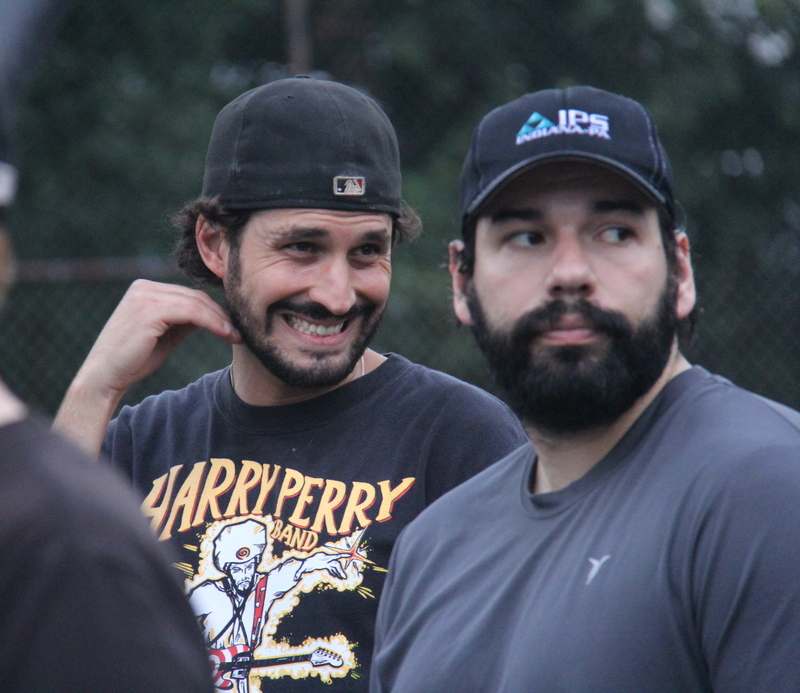 – Cookies & Cream became the second team to lose the Wiffle Series a year after winning the title. The Fish Sticks lost to the Caucasians in 2012 a year after beating them in 2011. – Reilly pitched the complete game win for Questionable Outfit, allowing 5 earned runs on 6 hits in 6 innings. – Dinger took the loss for Cookies & Cream, giving up 7 runs on 12 hits in 5 innings pitched. – Reilly led the way at the plate for Questionable Outfit, going 4-for-5 with 2 singles, 2 home runs, 2 runs scored, and 4 RBI. – Tom went 3-for-6 with a triple, 2 home runs, 2 runs scored, and 2 RBI. 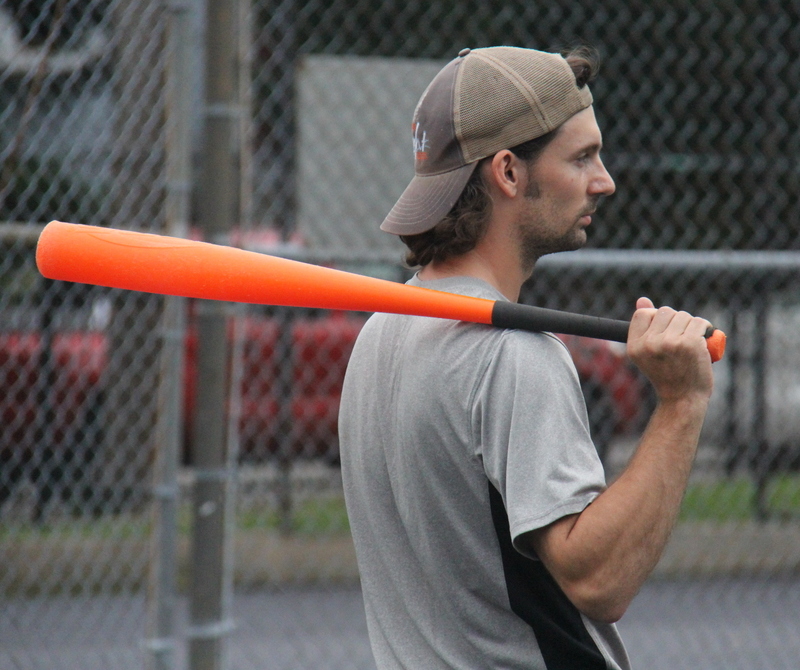 – Joey led Cookies & Cream on offense, going 2-for-4 with 2 home runs, 2 runs scored, and 3 RBI. In one of the best games in the history of the EWL playoffs, Cookies & Cream made a remarkable comeback only to fall short as Questionable Outfit held on to take a 2-1 series lead with a dramatic 11-10 victory. With the series tied at 1-1, Cookies & Cream were the home team and they send Dinger to the mound. 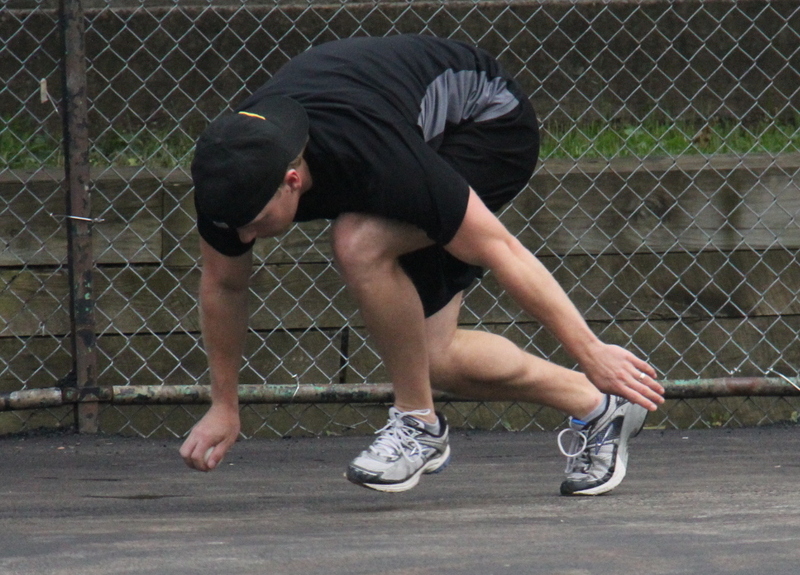 After losing in game 1, he was hoping for a better performance in game 3, but he got into trouble early. The game’s first batter, Tom, went deep to left-center, and the solo homer put Questionable Outfit ahead 1-0. Dinger was able to rebound and retire the next two batters to end the inning and avoid a big early deficit. 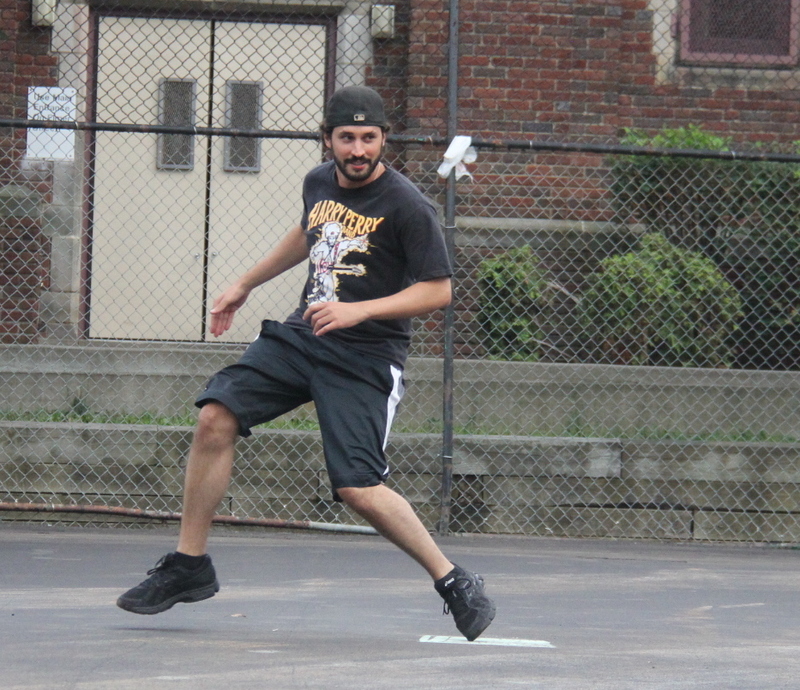 Game 1 winner, Reilly, was Questionable Outfit’s starting pitcher for game 3. He cruised through the bottom of the first, retiring the side in order. 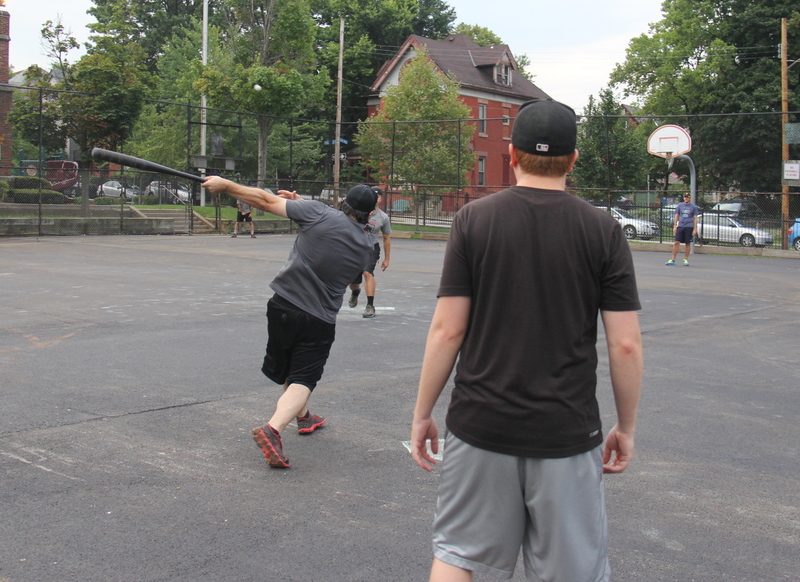 Things got worse for Dinger and Cookies & Cream in the top of the second, as Questionable opened up a sizable lead. Reilly was retired for the first out of the inning, but Questionable rallied with one out. Tom singled, and the next batter, Bob, crushed a two-run bomb to right, making the score 3-0. Morrison followed with a solo homer, and the back-to-back homers extended the lead to 4-0. Reilly was retired for the second out of the inning, but Cookies & Cream found themselves in a hole. Cookies would put a small dent in the Questionable lead in the bottom of the second. Joey was retired for the first out of the inning, but Vassallo followed with a solo homer, cutting the score to 4-1. Reilly then retired Dinger to end the inning. Questionable would blow the game open in the top of the third. Tom led off with a single, and for the second consecutive inning, Bob launched a two-run homer into deep right-center, extending the lead to 6-1. Morrison followed with a double off the fence, forcing Cookies to turn to the bullpen. They brought in Blose for a rare pitching appearance, and the first batter he faced, Reilly hit an RBI single that scored Morrison, making the score 7-1. Blose would retire the next two batters to end the inning, but Questionable had taken a six-run lead. 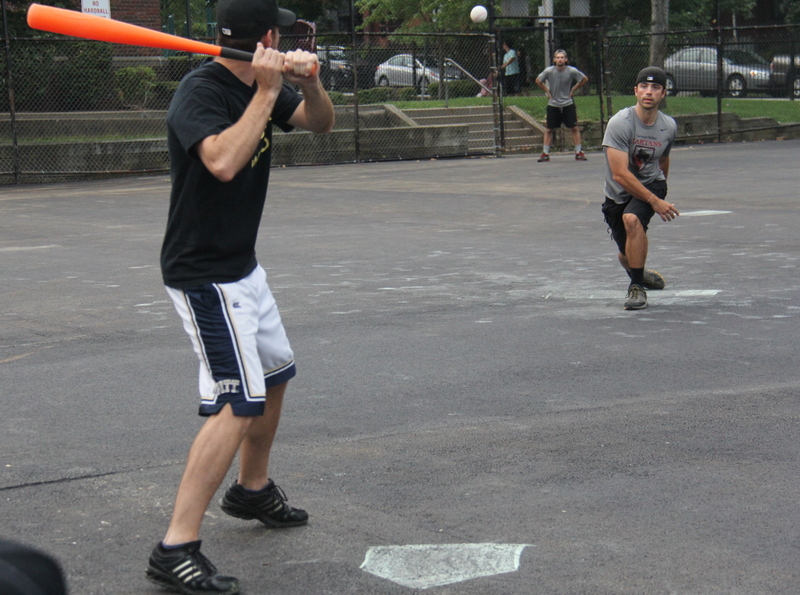 Reilly retired the side in order in the bottom of the third, and Questionable Outfit were in command of game 3. After retiring Morrison to start the top of the fourth, Blose allowed a single to Reilly, followed by a double to Tom. Questionable had runners on second and third with one out, and it looked as if the game would get out of hand with Bob coming to the plate. 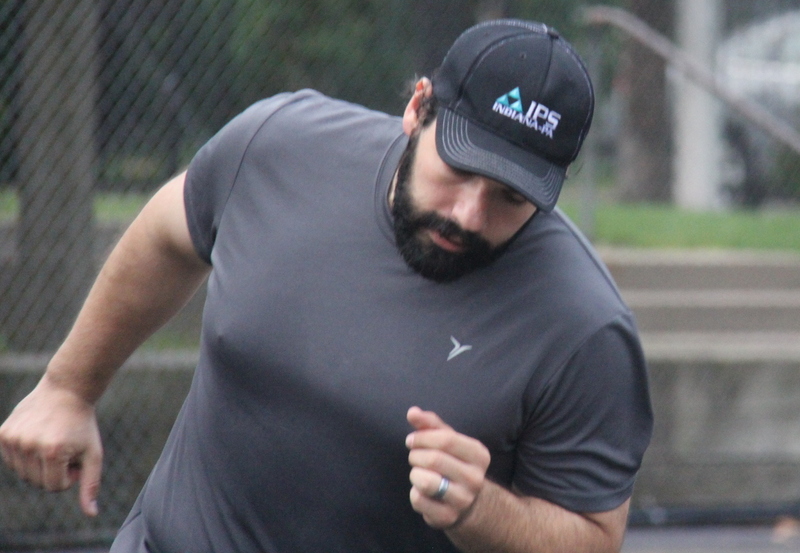 But Blose was able to retire Bob, stranding both runners and escaping the inning without damage. Down 7-1, Cookies & Cream showed signs of life in the bottom of the fourth. Vassallo led off the inning with a solo homer, his second of the game, making the score 7-2. Dinger followed with a single and moved to second when Blose grounded out for the first out of the inning. 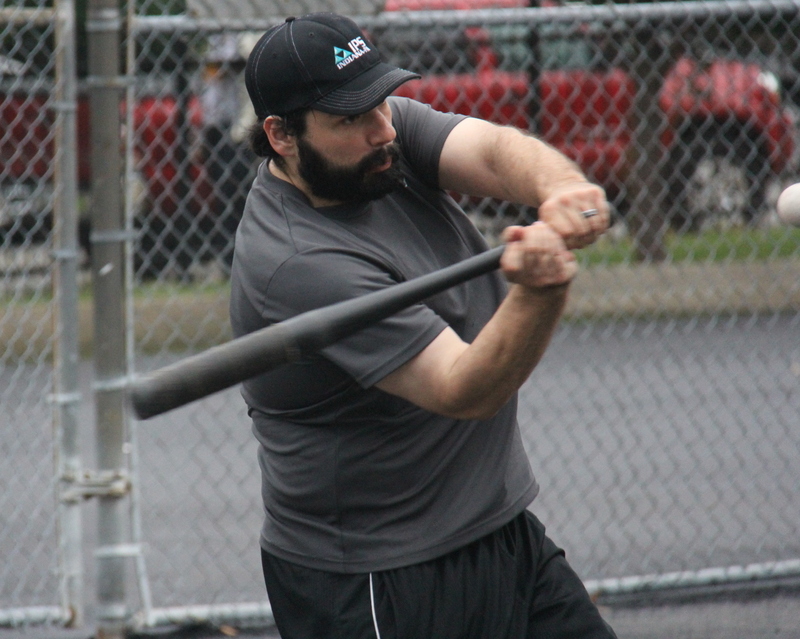 The next batter, Joey, crushed a two-run homer to left, and Cookies & Cream had narrowed the deficit to 7-4. Reilly ended the rally there, retiring Vassallo to end the inning. After pulling within three runs, Cookies couldn’t hold Questionable Outfit in check, as they pulled back ahead in the top of the fifth. Morrison led off the inning with a triple and scored on a Reilly single to make the score 8-4. Two batters later, Bob crushed his third homer of the game, another two-run shot, making the score 10-4. Blose retired Morrison for the second out of the inning, but Cookies & Cream would once again trail by six runs. Down 10-4, Cookies & Cream made things very interesting in the bottom of the fifth. Dinger led off the inning with a solo homer, making the score 10-5. Blose followed with a single, and the next batter, Joey, crushed his second homer of the game, and the two-run bomb cut the deficit to 10-7. After Reilly retired Vassallo, Dinger came to the plate and blasted his second homer of the inning, and the score was 10-8. Blose followed with a solo shot, and the back-to-back jacks pulled Cookies & Cream within a run. 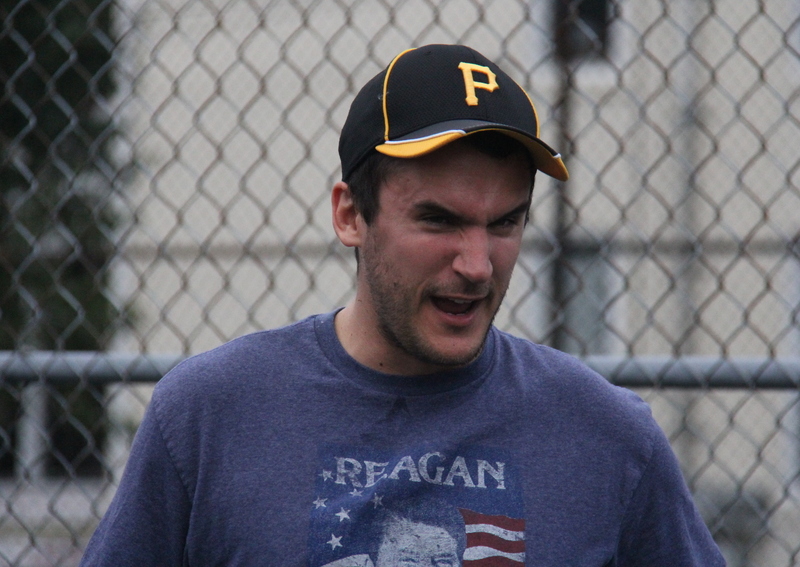 For the first time in the 2014 season, Questionable Outfit was forced to make a call to the bullpen with Reilly on the mound. Morrison was called in for relief, and the first batter he faced, Joey, hit yet another solo homer to deep left field, and Cookies & Cream had miraculously tied the game at 10-10. Morrison then retired Vassallo for the second out of the inning, but Cookies & Cream had scored six runs and homered five times in the inning to pull from six runs behind and tie the game heading into the final frame. Blose remained on the mound for Cookies & Cream in the top of the sixth, and he retired the first batter of the inning, Reilly. The next batter, Tom, fouled off multiple pitches and looked frustrated at the plate. But like they have all year, Questionable Outfit got offense when they needed it, and Tom blasted a solo homer to deep center field, putting Questionable Outfit back on top 11-10. Bob followed with a single, but Blose retired Morrison to end the inning. After coming back from a huge deficit to tie the game, Cookies once again found themselves trailing heading into their last at-bat. They started at the top of the order, and Morrison retired Dinger for the first out of the inning. Down to one out, one of the game’s most feared hitters, Blose, faced off against one of the game’s other most feared hitters, Morrison, who was pitching. Morrison won this battle getting Blose to fly out to the mound for the second out of the inning, ending the game, and giving Questionable Outfit the win. 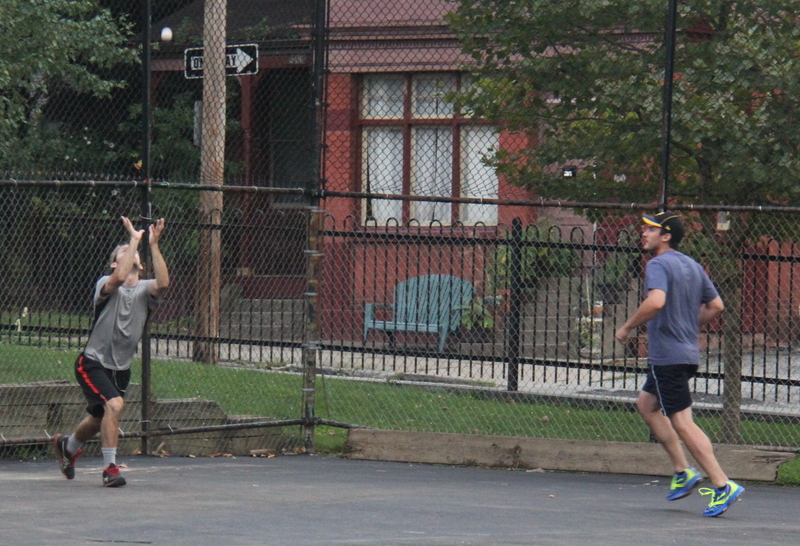 Despite nearly blowing a massive lead, Questionable Outfit held on to win game 3, giving them a 2-1 series lead in the best-of-seven Wiffle Series. – Blose took the loss for Cookies & Cream, allowing 5 earned runs on 9 hits in 4 innings of relief. Dinger also pitched 2 innings for Cookies, giving up 6 runs on 6 hits in 2 innings. – Morrison got the win for Questionable Outfit, allowing one earned run on one hit in 1.5 innings of relief. Reilly allowed 9 earned runs on 9 hits in 4.5 innings before giving way to Morrison. 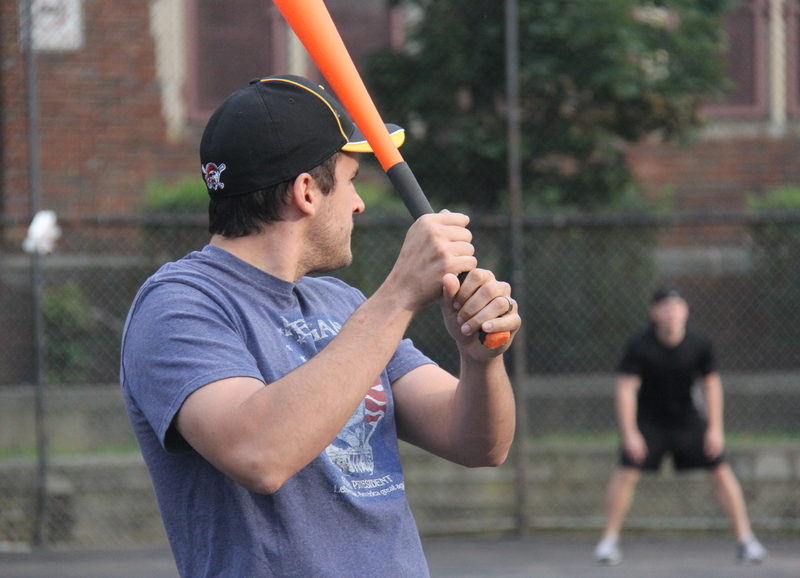 – Bob went 4-for-7 to lead the way for Questionable Outfit, hitting a single, 3 homers, scoring 3 runs, and driving in 6 runs. – Morrison was a single shy of hitting for the cycle, going 3-for-7 with a double, triple, home run, 3 runs scored, and an RBI. 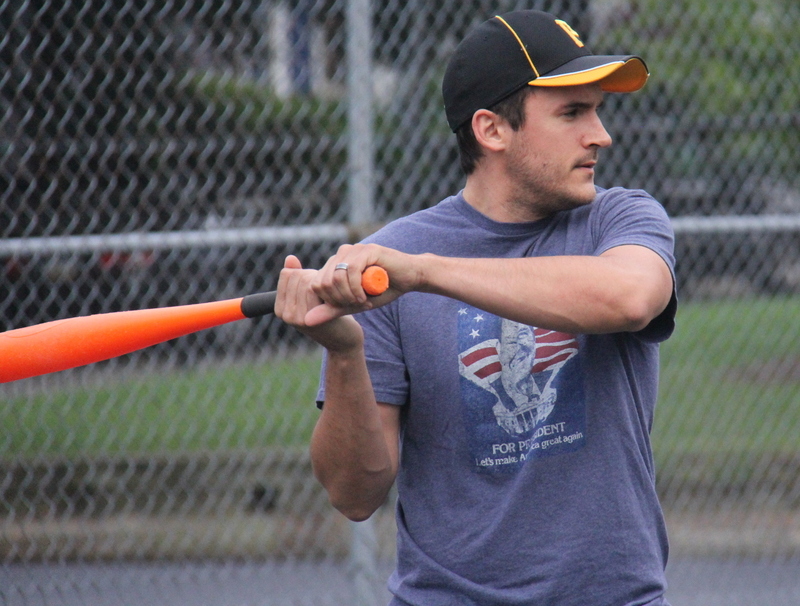 – Tom went 5-for-7 for Questionable Outfit, with 2 singles, a double, 2 homers, 4 runs scored, and 2 RBI. 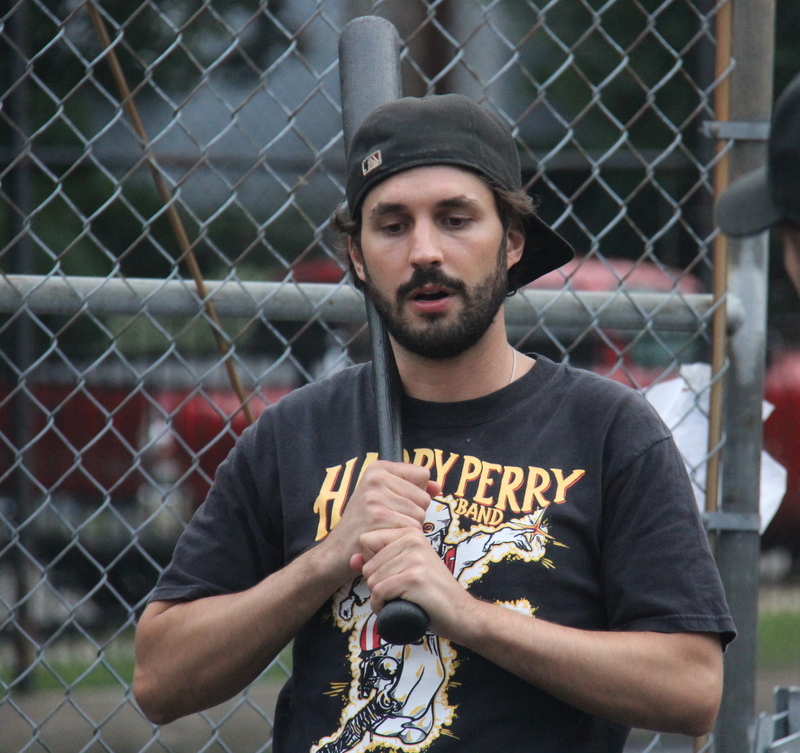 – Reilly also contributed 3 hits for Questionable, all singles. 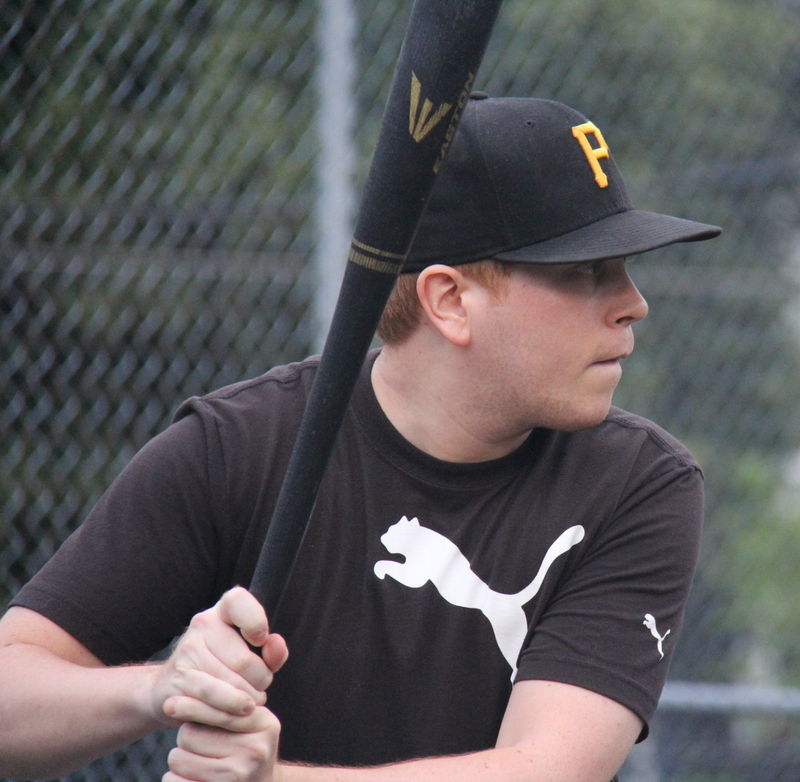 – Joey set the pace for Cookies & Cream at the plate, going 3-for-5 with 3 home runs, 3 runs scored, and 5 RBI. – Dinger went 3-for-6 with a single, 2 home runs, 3 runs scored, and 2 RBI. 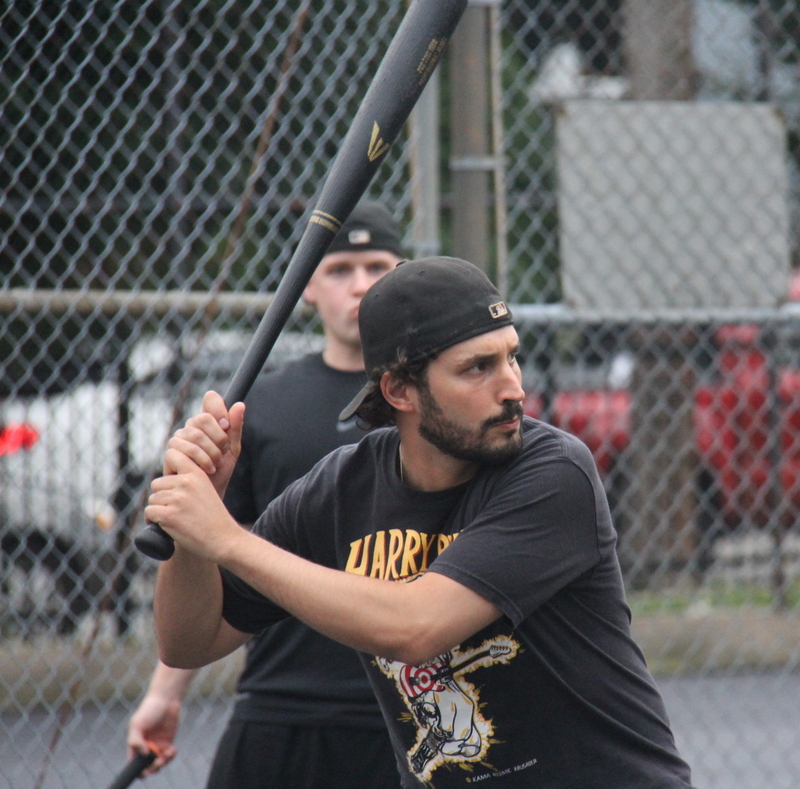 – Vassallo also went 2-for-5 with 2 home runs, 2 runs scored, and 2 RBI.